“FINALLY, a local auto repair shop that's both efficient and trustworthy! These guys have serviced my temperamental Audi on several occasions, always providing the best service anyone could ask for. 1. First, they take "walk-ins" (or tow ins!) and are usually able to get to your car in a reasonable time. Appointments are also available for scheduled maintenance. Comfortable and clean waiting area w/ restroom, hydration, and WiFi! 2. KNOWLEDGEABLE. They are able to quickly diagnose the vehicle, recommend a course of action, and give you an accurate estimate of repair costs. This quality is invaluable regarding auto repair. This saves you money ($), time, frustration and headache. 3. HONESTY. They're not salesmen. They tell you which repairs should be made now, which repairs can wait, and even which repairs are altogether unnecessary. 4. RELIABILITY. They actually CHECK BEHIND their own work to be sure everything is in order and working properly; going as far as test driving the car to be sure your car is repaired properly before you leave with it. 5. PRICING. Their charges are reasonable. I know, I know, you are probably looking for "cheap" pricing... but let me explain something about servicing German cars...If you take your VW/Audi to a "cheap" mechanic you will more than likely end up paying much more in the end. Here's why: They lack the KNOWLEDGE and TOOLS to service VW's / Audi's. Usually, they will spend much more time troubleshooting the problem, not to mention all the extra time to actually make the repair. THIS COSTS YOU MORE MONEY. Save yourself the headache of taking your German car to a inferior mechanic. Save your wallet the expense of dealer pricing. I have a new repair shop! after a lot problems and bad repairs with another mechanics i can found the best repair shop of NC Todd and all staff is a professional persons all time,the repair prices is very reasonable Todd explain me all problems found on my two cars he is a very honest person he never lied and was always in communication with me I appreciate all your patience he had with me after a lot of questions and messages I send him. “We can't say enough about Todd and VW Specialties. After going through a nightmare with Harmony Motors, he quickly found our problem and fixed it at a fair price. 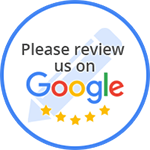 We are so relieved to have found a quality and honest mechanic with great customer service. We will certainly spread the word! Hopefully we won't be back soon, but if we do need anything we will be back!